Oh, it is so good to be back. From the moment I started the car up, heard the delights of Guns N’ Roses’ Paradise City blaring, the lady instructor telling me the basics and the dulcet tones of DJ Atomika, the memories come flooding back. 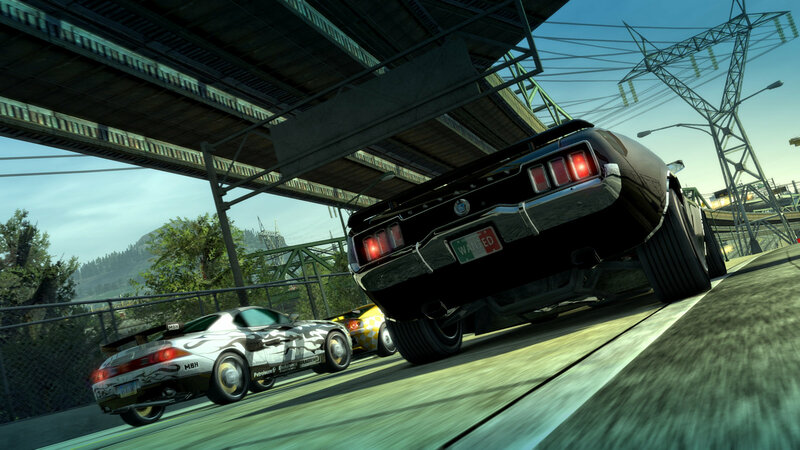 This is Paradise City — this is Burnout Paradise Remastered, and I am home. For anyone who wasn’t lucky enough to play Burnout Paradise first time around, about ten years ago, I’m frankly jealous. Jealous that you get to experience the delights of the greatest open world racing game ever made. Hell, yes. When Criterion first gave us this open world twitch racer with the backing of EA as publisher, it was the first time something on this scale had been tried. 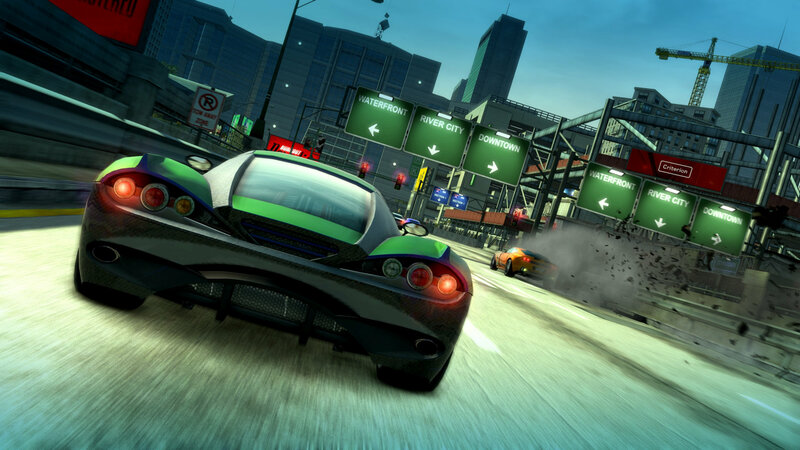 It was a big change for the developer and the series and, in truth, the racing genre as a whole. But my word, did it work. Frankly, the game then was fantastic, and today in remastered form it’s just as wonderful. There are certain design choices which are perhaps something we should have moved on from but each is minor. The key aspects of the game — the world, what you have to do, the feeling of speed and much more — are all still there and they still represent the pinnacle of the open world racing game; such was the level at which the bar was set in 2008. The structure of Burnout Paradise Remastered is brave and works perfectly. You start off with no license and just an old banged up vehicle. As you drive around the city you learn what it has to offer: auto repair centres, gas stations to fill your boost, junk yards where you can change cars once you’ve acquired some new ones and much more as you get familiar with your surroundings. You start to learn about the city itself, too. You have a beach, an economics area, industrialised zones, mountains, farmland and lots more too, if you can find it — stock car tracks and airfields being two of the most interesting ‘off map’ areas. Importantly, you start to find out how you can take part in events and start earning the first of your (hopefully) many licences. Simply stopping at any set of traffic lights you will find an event, and to take part you just press and hold L2 and R2. 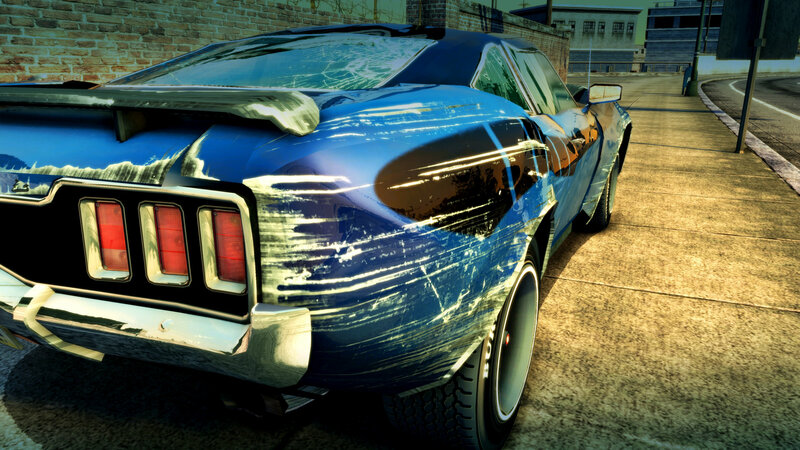 There are multiple event types: race, marked man, road rage and stunt run. Races are you against seven other AI cars going from the starting point to one of eight finish lines, situated at each point of the compass. Marked man is you being chased by big, black vehicles who only want to take you down and wreck you. Road rage is the other way around — you are needing to take down everyone else. Stunt runs are perhaps my favourite, where the aim is to boost, drift, jump and more around the city looking to build your points and extend your combo in order to hit, exceed, and shoot out of the park, the target score. The aim of the game is to upgrade your license. You do this by winning a specific number of events. You start with a learner’s permit and want to get all the way to your Elite, and then Criterion Elite, license. Each time you upgrade the events reset, meaning everything is set as new and incomplete once more. This is surprisingly helpful as you have a tendency to do the easier events — possibly to do with a need to get a better license, or perhaps the very fact that you will initially tend to stay in a more focused area and not go sightseeing — or the ones you enjoy the most. I always found myself chewing up the stunt runs first and it was good that I could do them again when aiming for my higher licenses, as things may have been less enjoyable had I been forced to do only marked man events instead. To get to that wonderfully elusive Criterion Elite license you not only must complete all the 120 events, but also smash every billboard, make every super jump, find every safety gate, locate each drive through and manage to work out where every multi-storey car park is. In the main game there is a total of 570 discoverables, with that extending to 615 with the introduction of Big Surf Island — originally part of the ‘year of paradise’ free DLC, but here you get it from the start, alongside every other piece of content ever made available, too. Where shall we go today, huh? With all of the above there is just so much to do in Paradise City. Recent open world racers have felt tedious and bland with great big worlds which tick the boxes for different areas, but no life, or joy. In Paradise you have a perfectly sized world which in itself is a character. I found myself just taking off at random as I followed the rabbit hole pursuing yellow safety gates, only to find a super jump which would distract me and then some billboards, before ending up at the airfield. Whatever plan I had, the world overtook it and I was absorbed. I did this first time around, and have loved doing it again just as much. I mentioned before that all DLC was contained in this remastered package. It makes the game absolutely ginormous. In addition to the main game there are motorbikes with their own licence structure. We have a whole new area in the form of the island and all kinds of different vehicles with their own events — toy cars, legendary cars and more. All of this, as well as what’s been mentioned, plus everything else there is to do in Paradise. Periodically a special vehicle is roaming around waiting to be taken down and added to your collection; you might want to set the best time on a particular road, or the best crash on it instead (offline or online). You can go online and do all kinds of bespoke events with friends and randoms, or stay offline and just marvel at how well the world is put together — a small thing which means a lot is that as you head towards a junction your HUD displays the two adjoining streets, and as you get closer the names get closer together too. It simultaneously indicates where you are in time and in space. It’s needed too, as the feeling of speed right from the off is totally immense thanks to the gameplay itself, the audio and the fabulous rock solid 60fps visuals, looking every inch the current gen game this now is. If you’re being critical there are some flaws today which exist because of the ten years which have passed. The world is quite constrained in its colour palette, and it’s not as big as other racing worlds we see nowadays. The restart button is hard to find (press right on the D-pad after an event to bring it up) and, well, that’s about it. Everything else is just brilliant - even if you know Paradise City like the back of your hand it’s such fun to use that to explore again, starting at zero on the discoverables list and doing it all again. It really is the finest world to race around in; the current best sandbox for driving you can find. And as I said, if you haven’t visited before, holy crap, am I jealous. Ten years ago I spent sixty-plus hours obtaining my Criterion Eite licence. I would drive 230 miles in real life on a Sunday evening to get home from where I’d been that weekend — and every other weekend — and then straight away jump on the PS3 for some Burnout fun. With the remaster I found myself getting in from a day at work, one hour’s drive away and smashing it in Paradise City. The more things change, the more they stay the same. 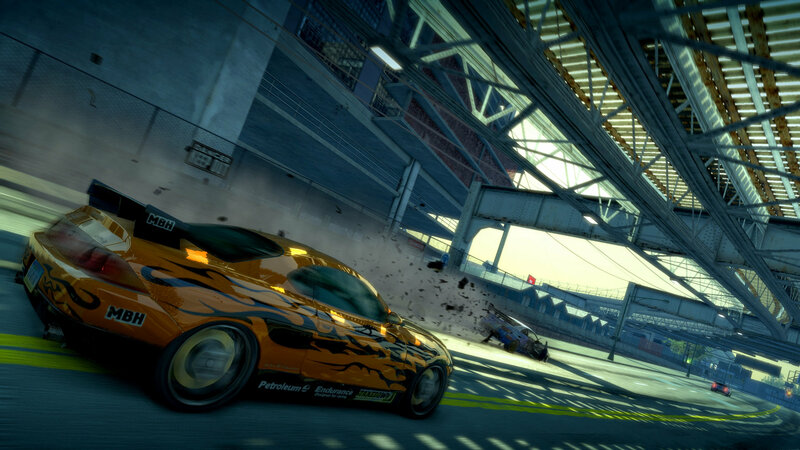 Burnout Paradise Remastered is a masterpiece of a racing game — the pinnacle of open world twitch racing. It was ten years ago and it is now. If you’ve played it before you’ll love it again. If not? Then get ready for brilliance.